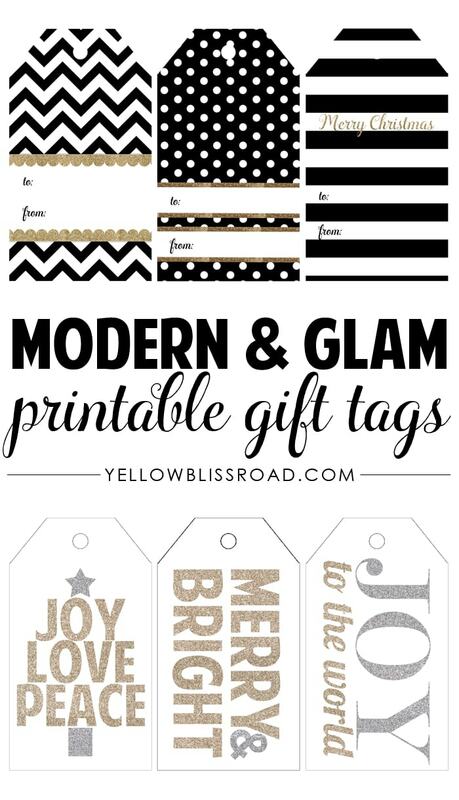 Plaid and Buffalo Check are right on trend this year and I’ve got a fun and pretty set of gift tags to help keep you in the loop and get you ready for wrapping, no matter the size or shape of your gift. There are six designs and each designs has three different styles and sizes! 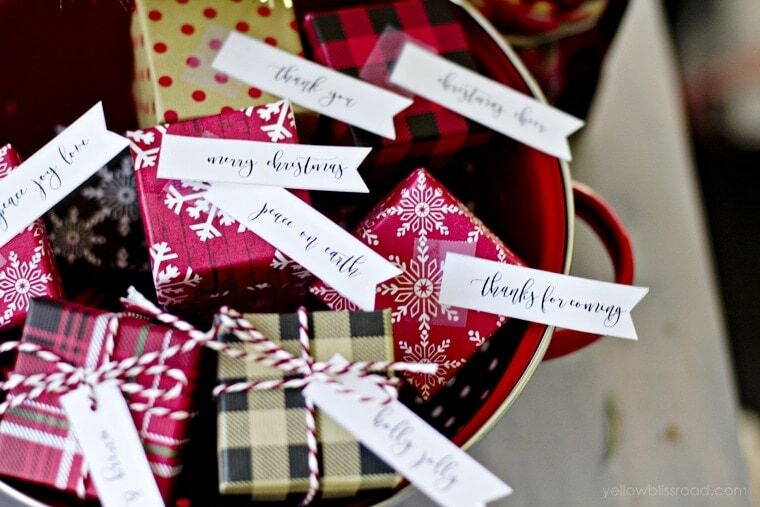 There are small rectangle tags that are perfect for quickly taping on the outside of a gift. There are round tags which are great for tying onto awkward packages like bags and bottles. And there are full sized tags that are perfect for all of the above and everything in between! I recommend printing the tags on good cardstock for the best quality. If you have a circle punch, the circle tags are 2.5″. 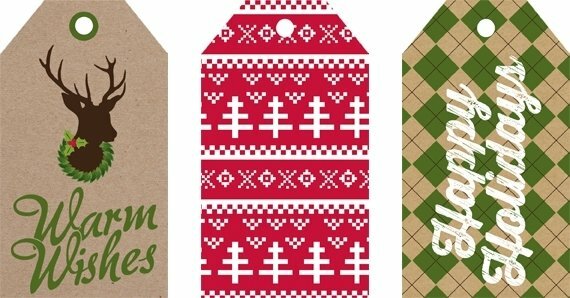 Add some color and festiveness to your packages this year with these fun rustic plaid gift tags! Be on the lookout for some more free printables to coordinate with this set in the coming weeks! 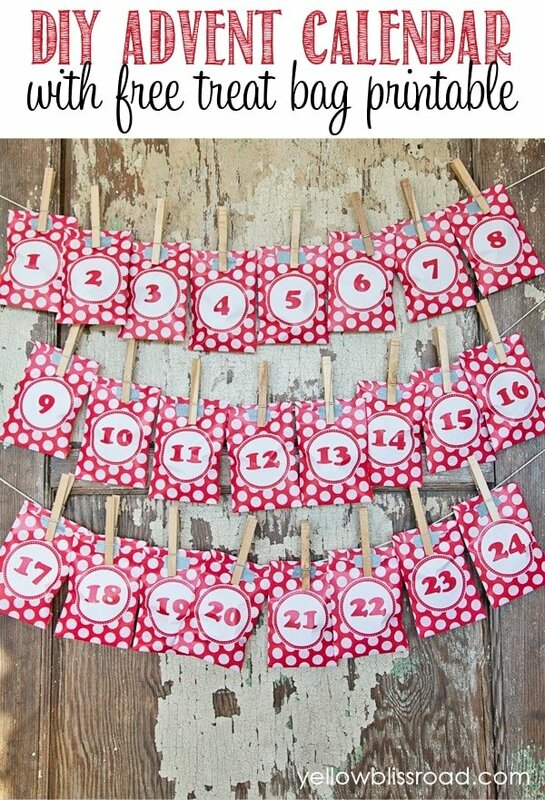 For all free Christmas printables, go HERE. 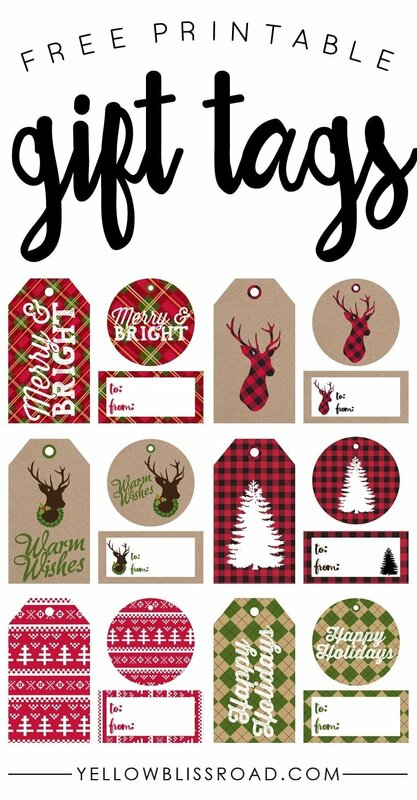 Love the buffalo plaid tags! Thanks for sharing and happy holidays! 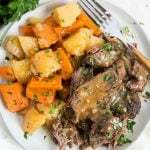 Great site I love your ideas. Thank you for sharing!! These are wonderful!! i love your tags! Thanks for sharing. Thanks for sharing the tags! They are just perfect. I will be watching this site!!! Merry Christmas!!! All my fields are filled in and I have no website yet.